The Government of Kerala has launched an online Malayalam lexicon and mobile application in connection with the implementation of Malayalam as the official language for administration in the state. 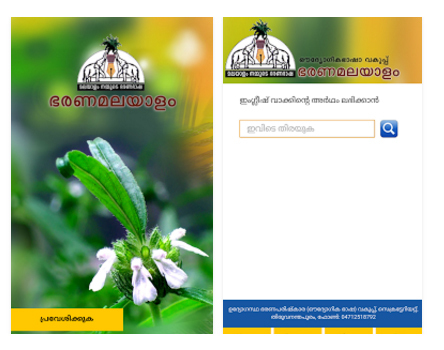 The Bharanamalayalam application is the first online dictionary on official language in the state. The dictionary can be accessed online at www.glossary.kerala.gov.in and also through the Android app available in the Google Play. This application has been prepared based on the language policy adopted by the State Government as a part of the official language implementation. It is expected that this application will help promote the transition in official language.